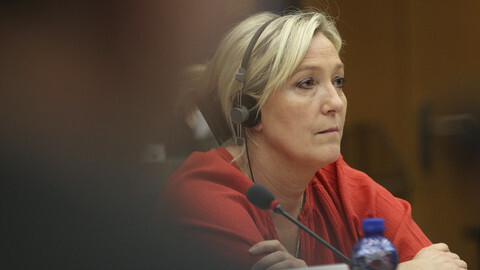 As MEPs start to examine a request to lift Marine Le Pen's parliamentary immunity on Monday (29 May), judges in Paris are trying to tighten the judiciary's noose around the French far-right leader. "The judges will not be letting go of anything," a judiciary source told EUobserver. "It will take as long as necessary, but Marine Le Pen will answer the investigators' questions". They requested Le Pen's immunity to be lifted after she refused twice, in February and March, to be heard in the probe over alleged fake parliamentary jobs contracts by her National Front (FN) party. But the procedure will take several months and, in the meantime, Le Pen may have been elected into the French National Assembly – a move that would grant her another form of immunity. 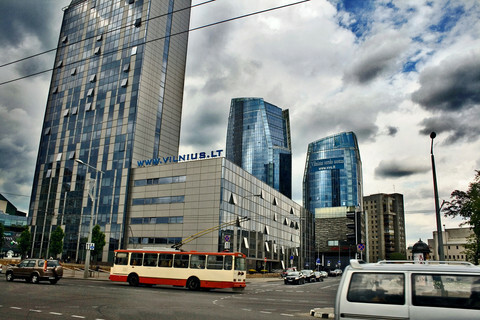 The FN is suspected of having paid party officials with European Parliament money. Around 20 people were employed as parliamentary assistants and registered at the same time as employees at the FN's headquarters in Nanterre, near Paris. Many of them almost never worked in Brussels or Strasbourg. The EU parliament estimates the damages to be as high as €5 million, according to a letter written by the parliament's legal representative to French judges – seen by the AFP press agency in April. The institution has already started to recover some €339,000, which was taken from Le Pen's monthly allowance for the undue salaries of two of Le Pen's former assistants – her bodyguard, Thierry Legier, and her chief of cabinet, Catherine Griset. The Paris prosecutor opened a probe last December for embezzlement, organised fraud, forgery, and undeclared work. In the ongoing investigation, two former FN parliamentary assistants, including Griset, were charged for breach of trust. Le Pen, who was a candidate for the presidential elections in April and May, denounced a "persecution by political opponents" and questioned the "impartiality and independence" of "the administration of justice." 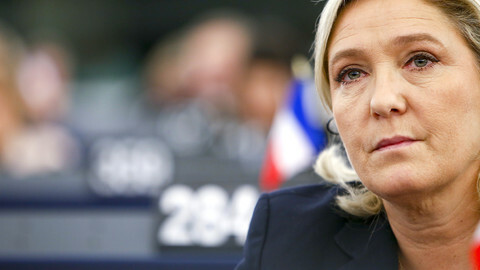 Her lawyer said that the immunity request to the EU parliament was "normal", and that Le Pen intended to go to the judges after the French legislative elections on 11 and 18 June. But the calendar is in Le Pen's favour. An immunity procedure in the European Parliament takes between four to six months, on average. 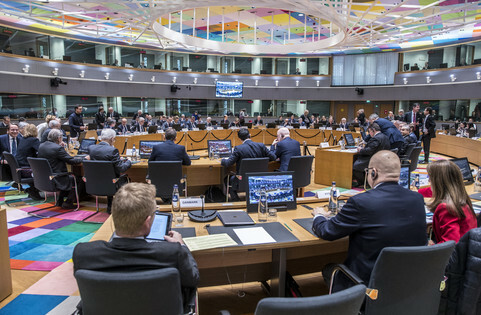 The parliament's legal affairs committee will discuss the case for the first time on Monday, after the procedure was launched by the parliament's president Antonio Tajani on 26 April. They will also examine a request for Marie-Christine Boutonnet, another National Front MEP who refused to be heard by judges over the same fake jobs case. The rapporteur for the case, Tadeusz Zwiefka, a Polish member of the centre-right EPP group, will present a report based on information provided by the French prosecutor. Le Pen, according to the procedure, "shall be given an opportunity to be heard" and can be invited twice if she declines the first offer. The committee, for its part, can ask the French authorities "to provide any information or explanation which [it] deems necessary". When it thinks it has enough information on the case, the committee will vote on a final report and issue a recommendation to the parliament's plenary, which will then vote on whether to lift Le Pen's immunity. Contacted by EUobserver, Zwiefka's office said he was not allowed to comment on Le Pen's case, but that the procedure would be treated like any other. 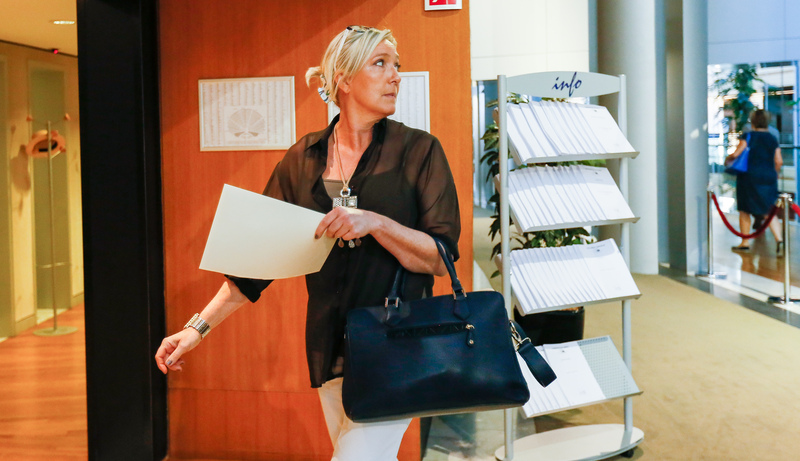 At Monday's meeting, the members of the legal affairs committee will examine immunity requests for seven other MEPs, including Le Pen's father, Jean-Marie Le Pen, in an unrelated case. If Le Pen accepts, she could be heard at the next meeting of the legal affairs committee, mid-June, or in the following one in July. 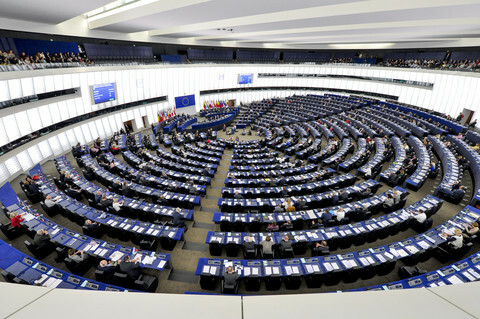 Depending on whether Le Pen accepts to come, and whether the committee needs more information, the plenary vote could take place in September or October. Furthermore, the procedure to officially notify the French judges about lifting her immunity could come as another delay in favour of Le Pen. On 2 March, the parliament lifted Le Pen's immunity in another case, where she tweeted pictures of people beheaded by the Islamic State (IS) jihadist group, almost five months after French judges had requested it. "We are in May, and the parliament has still not officially sent the decision," a judge told EUobserver recently. 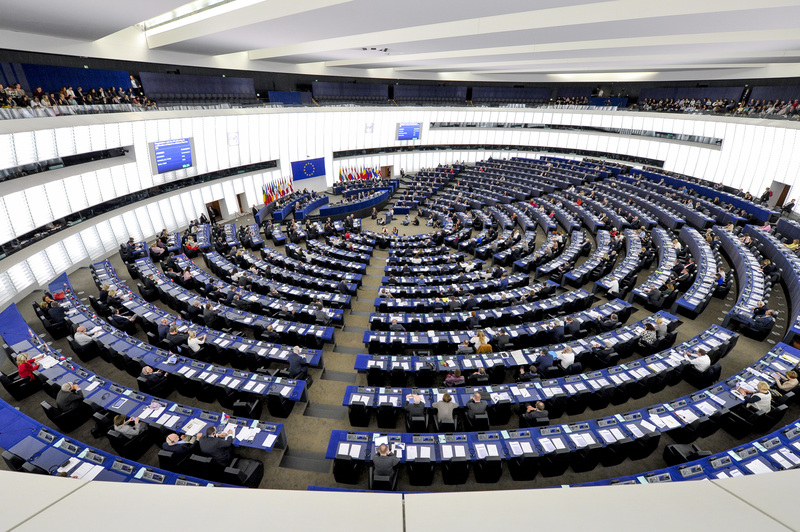 According to parliament sources, however, the official notification was sent to the judges through the usual circuit – the permanent representation to the EU of the MEP's country, which sends it on to the foreign affairs ministry. 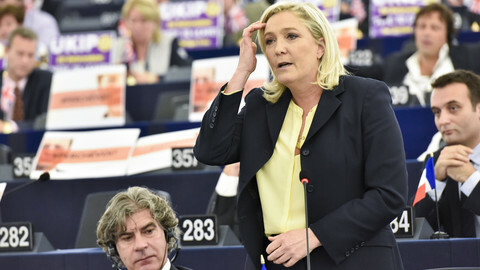 When MEPs lift Le Pen's immunity and the decision is notified to judges, the far-right leader could still be in a position to dodge the judges' summons. On 18 May, she announced that she would be a candidate in the June legislative elections. She will run in Henin-Beaumont – a town in northern France that has a National Front mayor and where she received 61.56 percent of the vote in the presidential election's run-off on 7 May. Nine of the FN's 24 MEPs, including Le Pen and the party's number two, Florian Philippot, are candidates in France, and would have to choose between their EU and their new national mandate if they were to be elected. If Le Pen becomes a French MP and gets a new, five-year parliamentary immunity, judges say they will still summon her. If she refuses to be heard, they said they will ask the French lower chamber to lift her immunity. While the alleged scheme to pay party officials started in 2012, it could still take years before Le Pen is taken to a tribunal. We suggested in the article that Thierry Legier had been charged, as well as Catherine Griset, when it is actually Griset and another former assistant. The far-right French presidential candidate is suspected of having used EU parliament money to fund her party's activities.